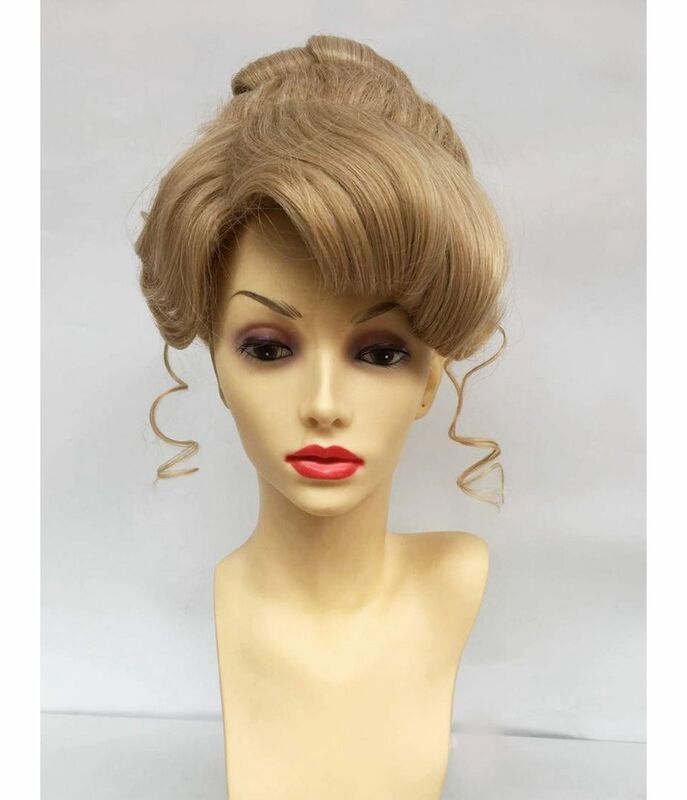 Stunning Cinderella 'updo' wig fit for a princess. 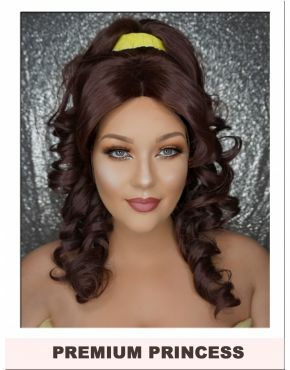 Our gloriously full wig with added layers of super soft hair has been meticulously designed to replicate the original style of Disney's animated Cinderella character. A mix of dirty blonde and bleach blonde tones ensure a more realistic colouring, ideal for the serious cosplayer or costume enthusiast. The premium synthetic hair has been hand sewn to cleverly conceal the entire edge of the wig and the oversized, split bangs can be worn swept to each side or as a full fringe. The ballerina bun and individual, loose curls complete the unmistakably royal look. 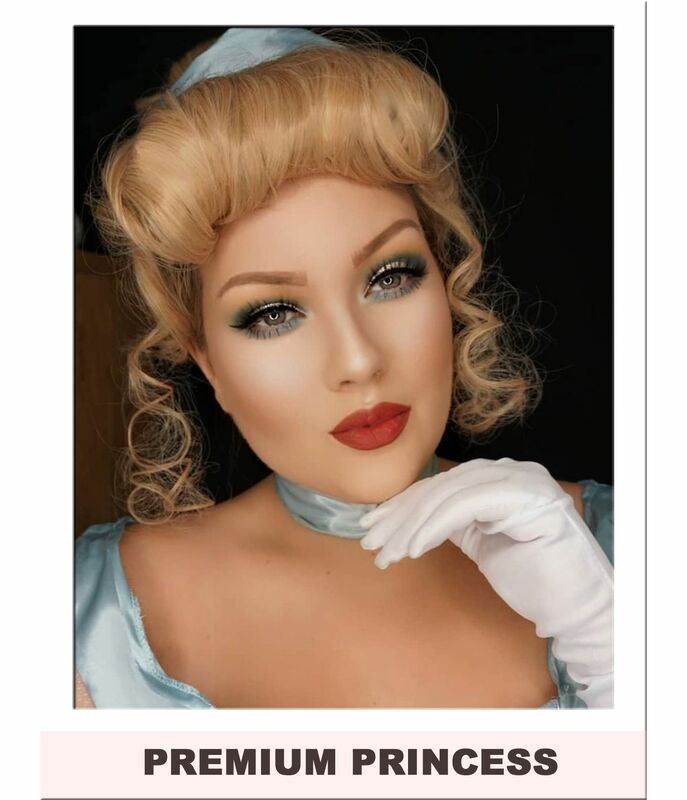 You shall go to the ball! 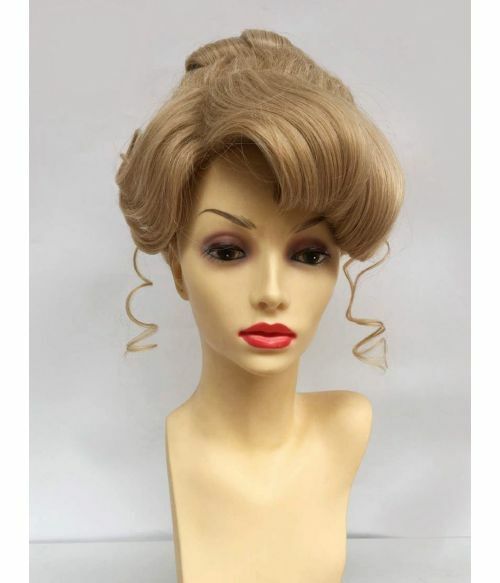 The Cinderella Wig comes boxed with presentation packaging, wig cap and speciality wig comb. 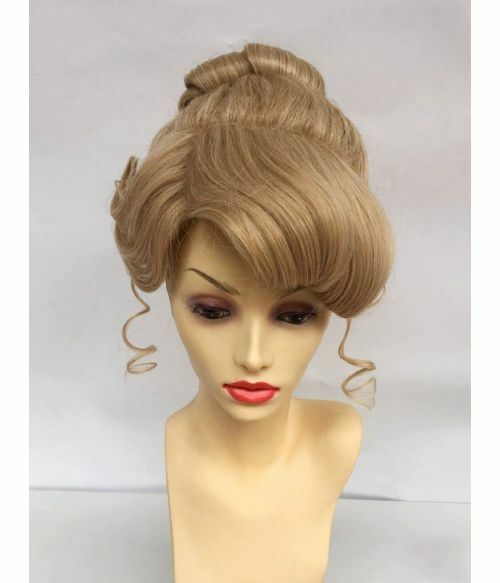 As this style is an 'updo' it is important that your natural hair is pulled up and away from the neck. 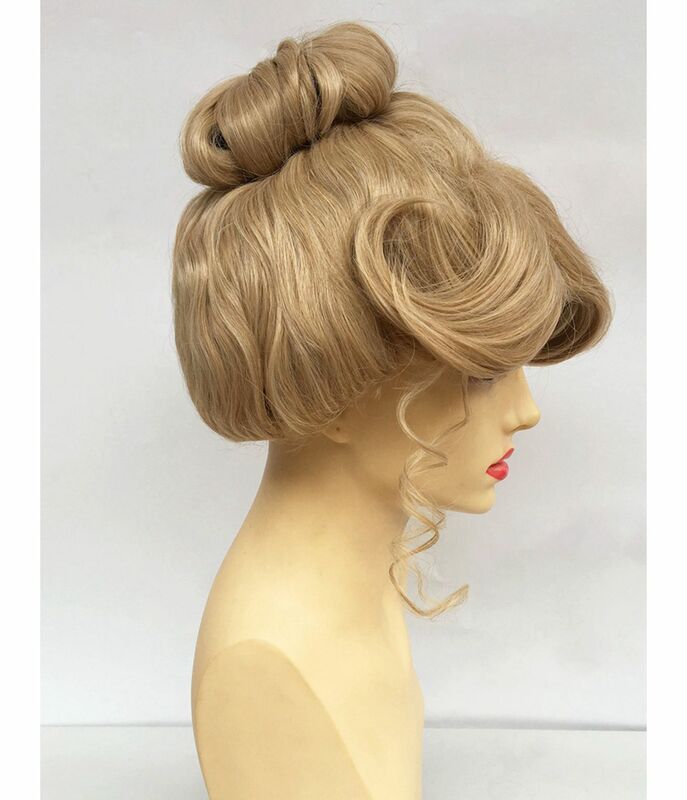 Use your wig cap to completely cover all of your hair. This will ensure that there is a new, clean line around the base of the wig at the rear.